No, not something you would normally consider….but yes, it does work….as shown below by, not one, but two of my customers. Maria Hasenecz , of Wyndmoor, PA, and Antiques by Zaar customer since 2007 , was determined to get her armoire of choice into her bathroom, which, you must agree, looks gorgeous! What you don’t know from the photos is that the desired location for the new home of her most recent acquisition, was on the 2nd floor of her home, which has, as part of it’s charm, a set of steps too narrow to accomodate getting this piece to its desired location. Of course, on the day of delivery, who would have a crane booked towork at her home to address other upgrades she was working on? That would be Maria. And thus the Chinese armoire was lifted by crane and plopped into into just where Maria wanted it, by way of the window. Love the story….see previous blog, here, showcasing Maria’s decorating gift, with her original AbyZaar purchase, a lacquered coffee table. 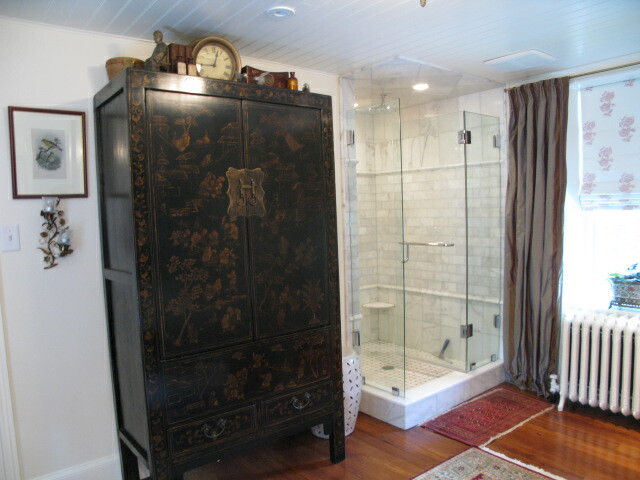 Tilton Fenwick, of New York NY also positioned a Chinese Armoire, a “kitchen” cabinet to be exact, in the 1890’s farmhouse that Suysel, Antiques by Zaar customer since 2004, bought for her family as a weekend retreat from NYC. The entire home , which the design team gutted and rebuilt and decorated, was featured on Houzz, and worth a visit. So pleased that our Chinese Kitchen cabinet served so well in the main bathroom of Suysel’s country home AND that so many on Houzz appreciated the application and made comment on how well it worked/looked/felt. Click here, to read previous blog written on Tilton Fenwick ,Antiques by Zaar and Metropolitan Home….also enjoy the work of Tilton Fenwick as showcased on the Home page of my website. …and should you want to consider using a Chinese Armoire for similar application/or otherwise, be sure to check out what we have available, by clicking here…. 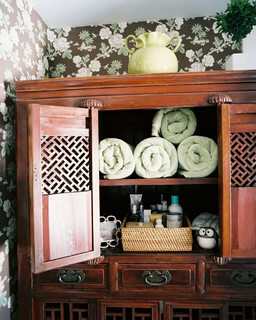 Would LOVE to see/share photos of how you have positioned your Chinese Armoire! 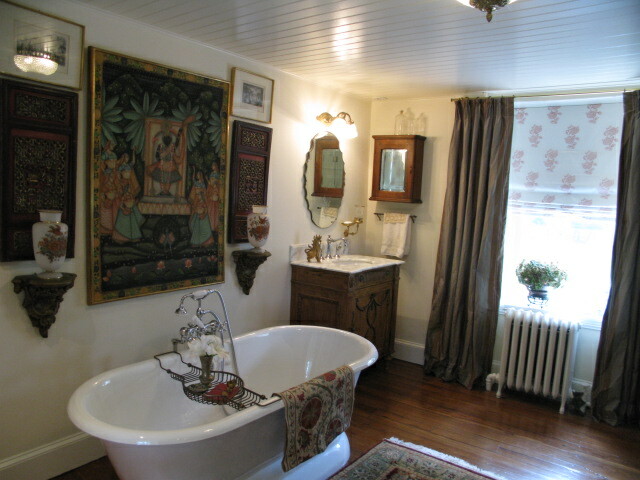 Reblogged this on Ruth's Blog/Antiques by Zaar.